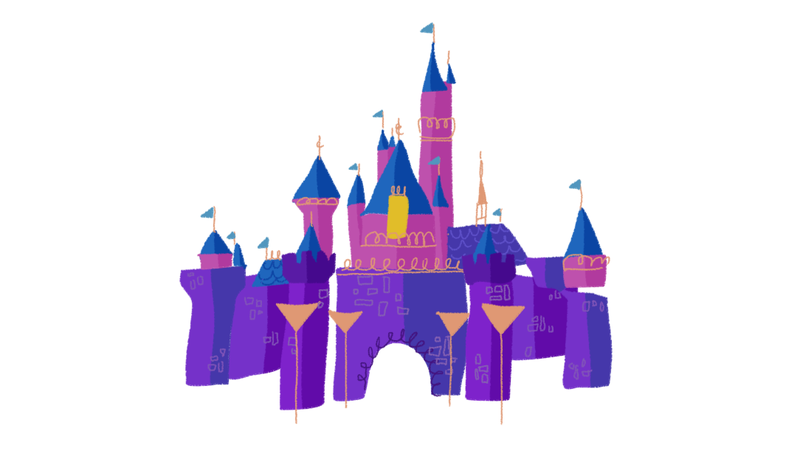 The story goes that the first movie that Walt Disney ever saw was a silent adaptation of Snow White. The year was 1916. 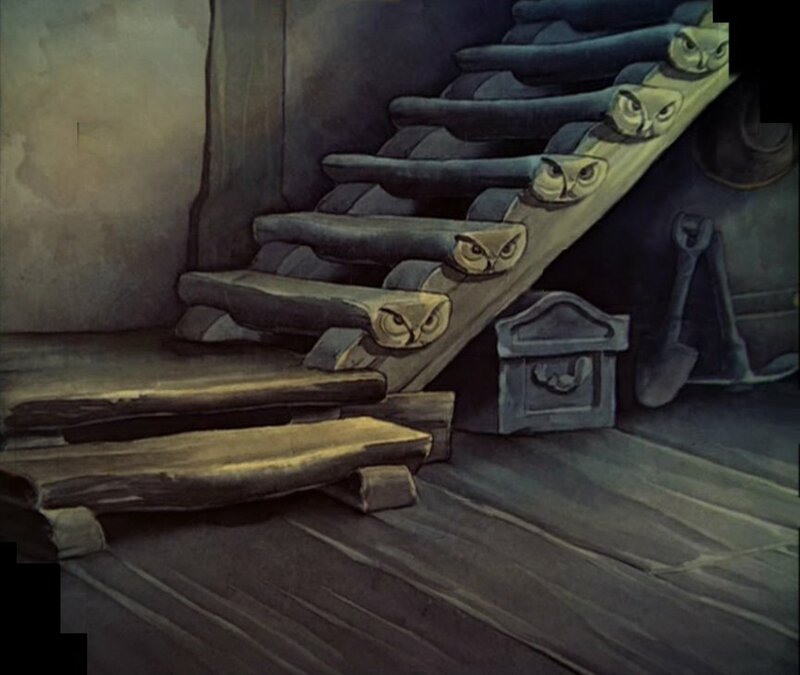 So when he got a chance to make his own feature film, he decided to make an animated version of this well known Brothers Grimm tale. The original staff was made up of 200 workers, but by the end of the movie's production, numbers had increased up to 800 people. 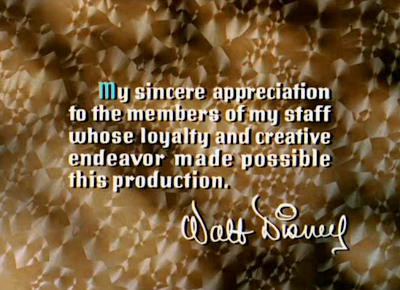 Here's the first frame from the movie, with a note from Walt Disney. I think it's awesome to see him thanking everyone who made the movie possible. How many movies have you seen that start this way?! And, although most of the 9 Old Men (the core animators in most of Disney Classic Movies) worked as animators on this film, some of them, like Ollie Johnston worked as an assistant animator and wasn't even credited. There were many technological advances for the making of this feature. It was to be the first traditional (hand drawn and painted) feature film, and the first color animation more than 10 minutes long! If you compare it to some of Disney's first short films, there is much more depth, since it used a multiplane camera, created specifically for Snow White (although it was tested on some previous short films). For this feature, characters where much more realistic than previous designs. Albert Hurter was in charge of developing the visual aspect of the film. Although he wasn't a great animator, he was a great source of ideas for the studio. 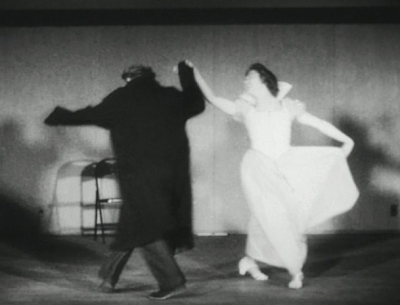 Walt Disney and his animators used a technique called Rotoscoping to trace the movements of live action images as reference. The rotoscope was used only as a guide, since animation using this technique was much more stiff than regular animation where characters can stretch and squash and over exaggerate poses. Up to this day (even in digital animation) animators use real life references to study poses and get inspired for their scenes. 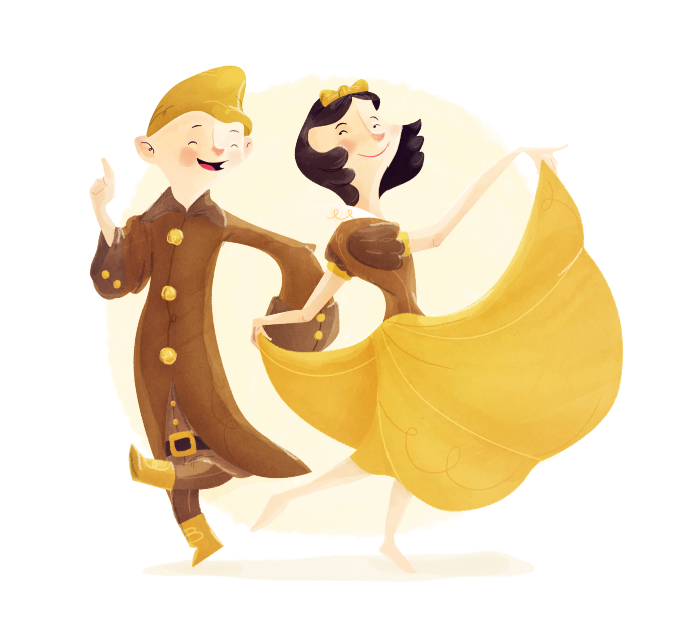 Here's a picture of the reference used to make the dance scene which i chose to illustrate. Walt Disney received an honorary Oscar with seven small Oscars. Well, that's it for this blogs first real entry. How long has it been since you watched this movie? Some of us might even think of it as a boring film (now that I saw it again, I was really impressed) since we got used to movies from the 80s and 90s. But needless to say, it would probably end up on the top 5 list of most of the people born in the 40's 50's (like my grandparents).